I love the angle on this painting. I was looking down into the water when I noticed this big boy, a goldfish that had grown to fit a nice sized custom-designed backyard pond. The owner attested to the fact that he had purchased large quantities of fish food to feed his friend. 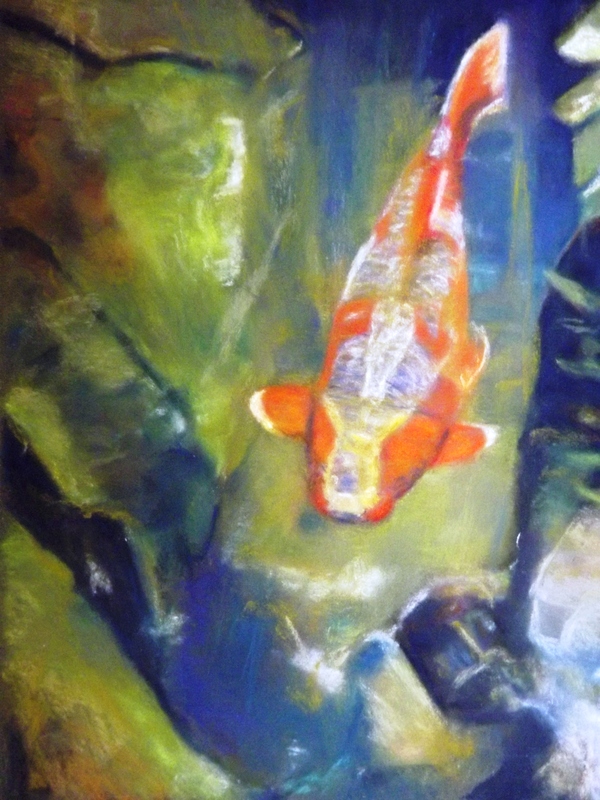 I was challenged to paint the fish in its habitat, with water swishing and swirling atop him.